There’s no reason to abandon that old or unwanted car or truck. Loman Car Removals pays top cash for cars Balcatta. We understand that the idea of selling a car can be too much for some car owners to handle. And that is why we’ve simplified the car selling process, making it so easy for you to sell your car to us. So, don’t let your car deteriorate any longer. Every day you wait is a day that the vehicle loses value. With us, we’ll buy your car today, and pay you instant cash. We pay up to $4,999, so why wait any longer? Contact us for a quote. Your car may no longer be the cherished vehicle it once was. Or, perhaps, you want a quick sale for a used car from a buyer that makes a fair cash offer for the car? Loman Car Removal is your Balcatta car buyer that pays cash for cars. We know that when we get a call to evaluate cars, there is only one thing on the owners’ minds. Top cash offers so that they can easily sell their car to us. We do our best to make offers that are accepted and go to the locations of our customers to remove their cars for free. Get top cash for cars & Free Car Removals with us! 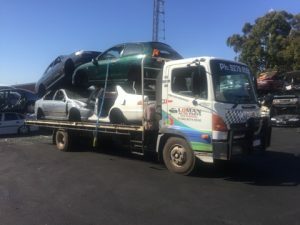 At Loman Car Removals, you have a buyer that opened their doors over ten years ago; and, have since built our business into a leading removal company in Balcatta. We have helped pave the way in removing old & scrap cars for recycling and help many used car owners replace their obsolete or hard to find parts with the expertise of our wreckers. With our experience in the industry, you have real professionals. With Loman Car Removals, you have the services you require to not only get your car sold but to get it sold when you have time in the day! We are committed to providing our customers with fast 247 cash for car removal services Balcatta wide. Our process to buy & remove cars is as simple as picking up the phone to have your car evaluated with us. You won’t be feeling anxiety or remorse about the condition of any car once you have it evaluated with us. We want to buy your old, used, scrap, accident, damaged, or wrecked car or truck. A top cash valuation for your car or truck and a free car removal with the paperwork and cash quickly follows.